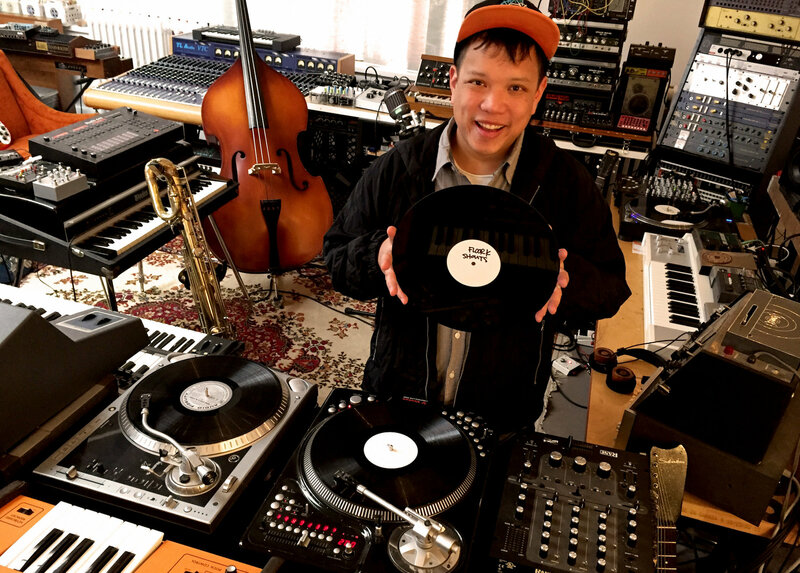 As Kid Koala gets set to support his acclaimed Floor Kids soundtrack with a month-long tour of special “Vinyl Vaudeville” and “Satellite Turntable Orchestra” sets, the scratch DJ/producer has unveiled a special 18-minute megamix of the game’s manic original music. 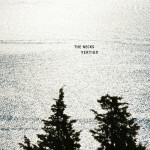 Available below—along with several official trailers and videos— it’s the perfect introduction to his dizzying Floor Kids LP that’s due out April 27th through Arts & Crafts. On with the show, then, along with a few more words from Eric San…. 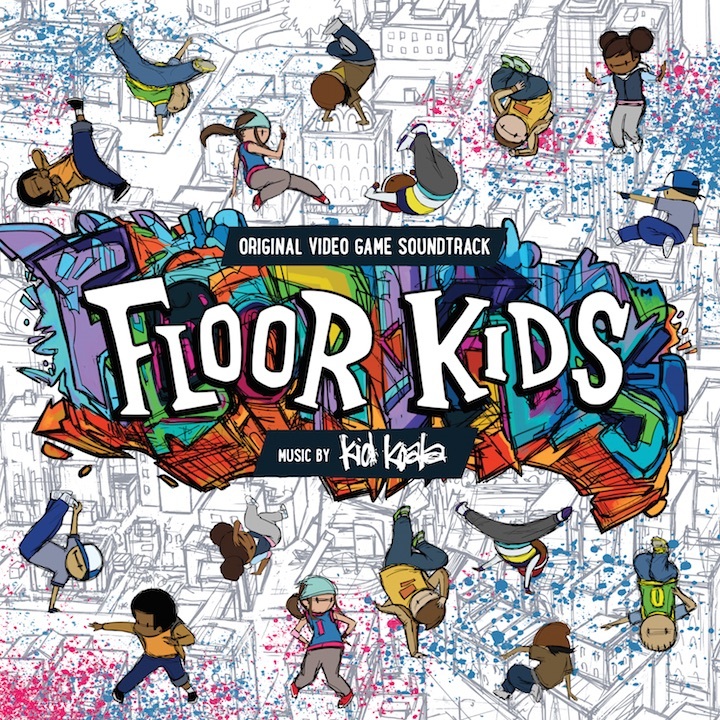 I recorded this mix on three turntables shortly after receiving the test pressings of the ‘Floor Kids Video Game Soundtrack’ vinyl. 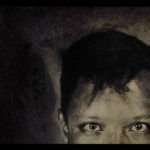 This is an 18-minute live mix that will give you a taste of some of the grooves and battle tracks on the record. I labeled the 12 o’clock point on each record with some stickers and just hit record, needle dropping, quick cueing and back spinning loops as you would do when deejaying at a break battle. There are also a few spoken word elements from the games story cut scenes scratched in there, which reveal some of the in-game philosophy that will help you become a better player/dancer/human!